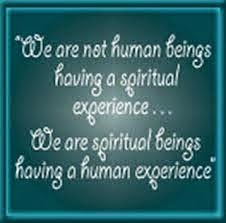 I have been thinking a lot about my spiritual life lately. I haven't been to church in several weeks and my morning routine of posting here and doing some spiritual reading has taken a back seat to caring for my 89 year old mother who moved in 3 weeks ago and my 42 year old daughter who moved in two weeks ago with her 15 and 1 year old daughters. We now have a 4 generation household which is a great blessing but also takes a lot of adjustments and changes in routines. Rev. Kaaren Anderson at First Unitarian in Rochester, NY gave a sermon recently which I listened to in a podcast dealing with taking risks and improvisation. It was a great sermon and I found it very validating in terms of making it up as you go dealing with circumstances that push a person outside his/her comfort zone. I realize at age 63 that this change in my household is good for my spiritual growth and development and so while I am not enjoying the solitude I was before, and cannot do the reading, blogging and churchgoing I was doing before, the service I am performing in terms of intimate family relationships is a spiritual practice worth pursuing and reflecting on. It is teaching me patience, kindness, compassion, and tolerance of my own reactions of annoyance and anger. 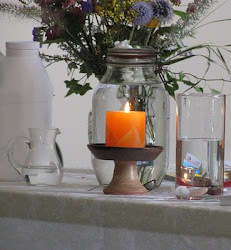 I like Kaaren's idea of improvisation as a spiritual practice and in order to improvise one must take risks and put oneself in a position of the unknown and unfamiliar. Once again, my involvement in Unitarian Universalism has been a big help in my way of life. I would say that your involvement in Unitarian Universalism has been, and will continue to be, a big help in developing and sustaining the "UU Way Of Life" of other UUs David. Keep it up!